Lexington, KY, April 27, 2017-The first awards given out at this year's Rolex Kentucky Three-Day Event, presented by Land Rover aren't for performance, but rather, fashion. Allie Sacksen and Boyd Martin took home the Dubarry of Ireland 'Best Dressed' award during Wednesday evening's welcome reception. They each earned a new pair of Dubarry boots as the best-dressed female and male riders at the first horse inspection, held on Wednesday afternoon. 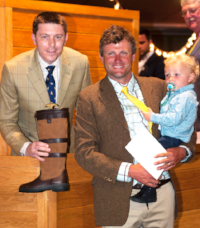 Danny Hulse from Dubarry of Ireland presents a pair of boots to Boyd Martin with son Nox. Danny Hulse, from Dubarry of Ireland, presented the fashionable waterproof boots to them. Martin, 37, of West Grove, Pa., jogged his mounts Steady Eddie and Crackerjack in a sharp tweed jacket, with a bold printed shirt, contrasting tie and freshly polished cordovan shoes. 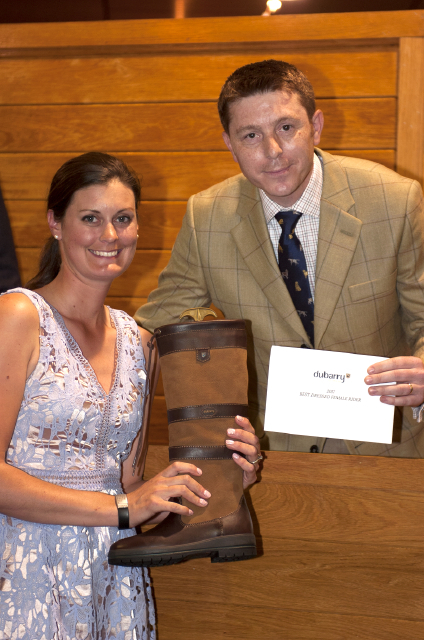 Danny Hulse from Dubarry of Ireland presents a pair of boots Allie Sacksen. 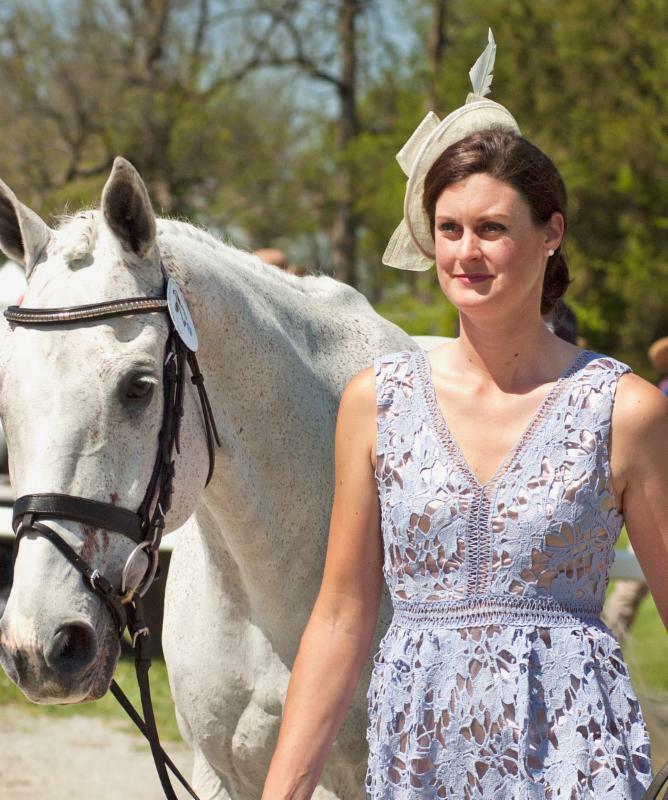 Sacksen, 27, of Somerset, Pa., wore a glittering lavender lace dress with a cream-colored fascinator and matching shoes that contrasted perfectly with her sparkling white mount Sparrow's Nio. Allie Sacksen and Sparrow's Nio. 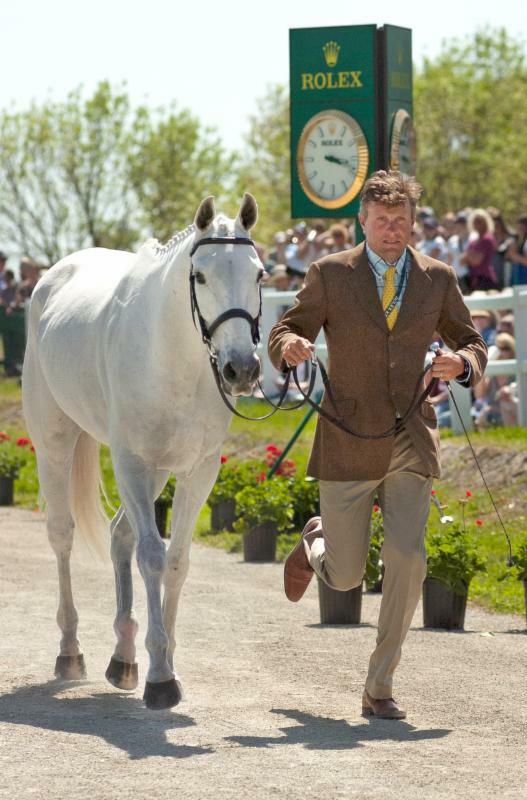 Known as the "Best Weekend All Year," the Rolex Kentucky Three-Day Event Presented by Land Rover is being held at the Kentucky Horse Park in Lexington, Kentucky, April 27-30. Spectators can enjoy a world-class three-day event competition and shop at the Sponsor Village and International Trade Fair with almost 200 booths and tents. Rolex Kentucky also features tailgating, a fund-raising farm-to-table dinner Thursday evening, on-site beer garden, 5K race on Friday evening, Land Rover test drives and Champions Live! on Sunday morning. Ticket buyers also receive general admission to the Kentucky Horse Park, America's only theme park dedicated to horses.